Will Congress Abolish “Stepped-up Basis” as Part of Tax Reform? Republican leaders in Congress recently released an outline of their massive tax reform proposal. As we discussed recently, such talk should not delay your own estate planning. But you still need to keep an eye on the political negotiations over tax reform, as many of the yet-to-be-decided details may force you to rethink some of your estate planning decisions. One of the more high-profile elements of the Republican tax reform agenda is abolishing the federal estate tax–or what critics frequently call the “death tax.” This is a tax assessed against the transfer of the assets upon the owner’s death. The tax itself can be quite significant, as the top marginal rate is 40 percent. But the reality is very few estates ever owe any tax. The current estate tax exempts a certain amount of assets. For anyone who dies in 2017, for example, the exemption is $5.49 million. Obviously, most of us do not own that much in assets. 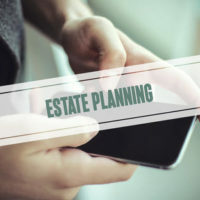 In addition, no estate tax is assessed against assets transferred from one spouse to another, or from a deceased individual to a tax-exempt charitable organization. And while a handful of states still assess their own separate estate tax, Florida does not. Here is what this means in plain English. Say you own a home in Naples, Florida. You purchased the property 20 years ago for $200,000. The property is now currently appraised for $325,000. If you die this year and leave the house to your children, the IRS will treat the value of this property as $325,000. This means that if your children later turn around and sell the house, any capital gains tax they owe will be based on this higher “date of death” value, rather than how much you originally paid for the property. This “stepped up” basis is especially helpful when dealing with securities that greatly fluctuate in value. Imagine buying Apple stock 30 years ago. If your heirs sold those shares after your death, they would potentially owe an enormous tax bill without the benefit of the stepped-up basis. As a Washington Post writer recently noted, the stepped up rule “provides substantial breaks for the 99.8 percent” of folks who will never benefit from an estate tax repeal. But there are conflicting reports as to whether Congress plans to eliminate the stepped up rule as part of their overall legislation. Indeed, the Post said the White House declined to commit to keeping the rule, instead saying that “would be determined by committees” in Congress. Dealing with potential tax consequences is just one aspect of estate planning. An experienced Fort Myers estate planning and probate lawyer can advise you on a wide range of subjects affecting your property and family. Contact the Kuhn Law Firm, P.A., today if you would like to schedule an estate planning consultation today. Source: Allan Sloan, How the GOP could repeal the estate tax – and rip off 99.8 percent of us, Washington Post, Sept. 28, 2017.